Trust is a currency I don’t spend easily with anyone–namely, humans. Manhattan was the last place I imagined moving to, but after living in isolation from other dragons for far too long, it was time to see if the rumors I’d heard about the Darkblood Secret Society were true. I knew falling in with this elite group of dragons wasn’t going to be easy–nor would adjusting to my new responsibilities as CFO of one of the world’s largest investment firms. What I didn’t expect was to fall for my very human secretary. With her long, dark hair and emerald green eyes, there was something about Sabrina that wasn’t like the others. She pulled me in like a magnet, making it virtually impossible to work with only an office door between us. But when I find out she’s descended from a long line of dragon hunters–the very people who killed my family–will my loyalties lie with my roots, or with my heart? ***This is the second installment of the Dragons Of The Darkblood Secret Society series. Each story is a standalone and may be read in any order. 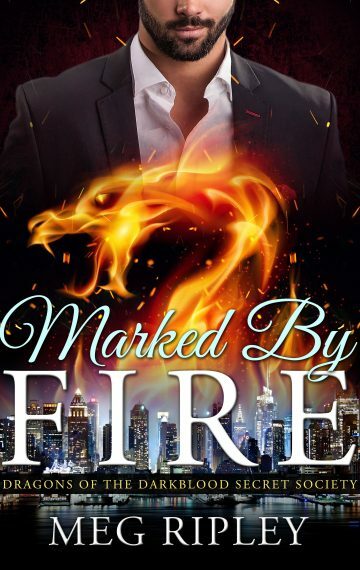 Marked By Fire is a 30,000 word novella with steamy shifter scenes intended for readers 18+. The Kindle edition features additional bonuses for your reading pleasure.